What is rtwlan.exe? Should I remove it? 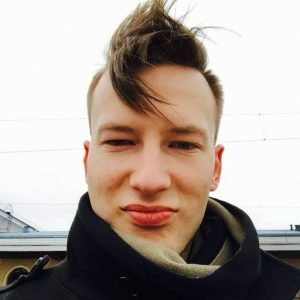 rtwlan.exe is a legitimate application process, which comes preinstalled on certain computers. You can find it in Toshibas, Asus and other computers. 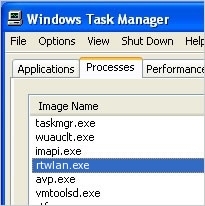 rtwlan.exe can also be called the REALTEK RTL8187SE Wireless LAN Utility. As this name suggests, it allows configurations of wireless networks. If you want to have this ability, you should never terminate rtwlan.exe. However, it is not an essential part of the system, what means you can terminate it if you think that this process is initiating problems on your system. There are lots of viruses that use names of legitimate files for hiding themselves from the user and anti-virus software. That's why you can never be sure that rtwlan.exe is a harmless file that is important for normal your PC's functionality. It may also be involved to malicious activity and used by different viruses. If you noticed that rtwlan.exe is causing problems, you should check the trustworthiness of this file. For that we recommend using RegCure Pro. This entry was posted on 2014-06-19 at 09:05 and is filed under Application files, Files. You can quickly scan the QR code with your mobile device and have rtwlan.exe manual removal instructions right in your pocket.